METAL TRADE COMAX is one of the first representatives in continuous coil coating in Europe and the only producer of continuously coated sheet metal in the Czech Republic. The company is a member of the ECCA, seated in Brussels, gathering major European producers of pre-painted sheet metal. The company is also a significant producer of alloys and master alloys of non-ferrous metals on the aluminum and copper basis in the form of ingots or liquid aluminum. Besides, METAL TRADE COMAX is a manufacturer of thin-walled profiles made of zinc coated strips and a producer of aluminium, zinc coated and steel coils cut into strips and sheets. 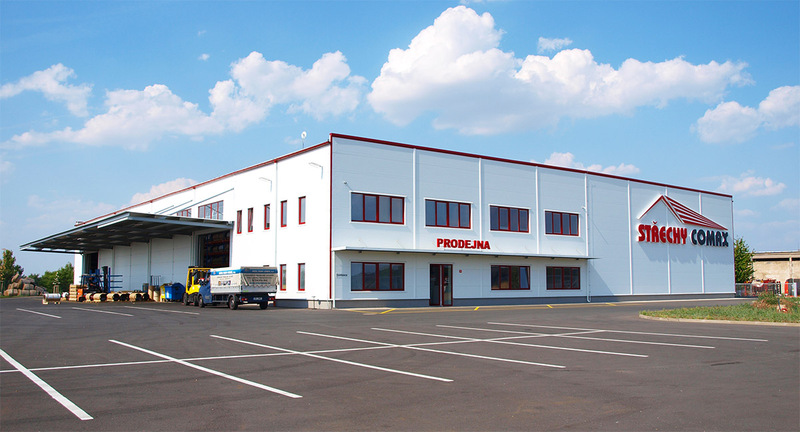 At the headquarters in Velvary, since 1995 the company operates a modern retail store of metal roofing and roof accessories – COMAX ROOFS®; the second store is located in Jindrichuv Hradec, South Bohemia, and the third one in the UK. METAL TRADE COMAX has 4 production plants and employs over 600 people. The manufacturing process management and quality is meeting the international standards ISO 9001, ISO 14001, OHSAS 18001, IATF 16949 and ISO 50001. Over 220 thousand tons of company products are sold per year, more than 55% is exported. Products of METAL TRADE COMAX are exported to 28 markets all around the world. In 2017, MTC has acquired all shares in Oetinger Aluminium Group. The acquisition has created one of Europe's leading aluminum recycling groups.